About Hammock Worldwide® Hotels & Resorts Hammock Worldwide® is a leading provider of hotel accommodations, including sports travel accommodations, business travel accommodations, and family travel accommodations, which now includes more than 16 individually owned and operated hotel properties in United States locations throughout New Jersey, Pennsylvania, Virginia, and Connecticut. They recently completed renovations at the Howard Johnson® Wildwood NJ. Hammock Worldwide’s network of hotels are franchised by a number of the industry’s most well-regarded brand families including Hilton Worldwide®, Choice Hotels®, and Wyndham Hotels Group®, as well as boutique hotels & resort brands. 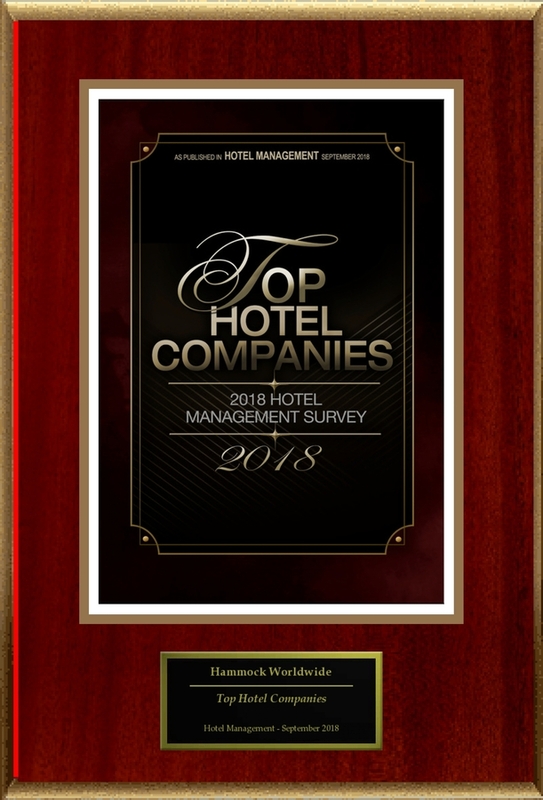 Franchised hotel brands include Hampton by Hilton®, Best Western Plus®, Comfort Suites®, Ramada®, Howard Johnson®, Days Inn®, Days Inn & Suites® and more. Providing hotel rooms in the United States, Hammock Worldwide has established strong relationships with sports travel companies and business clients, as well as individual family travelers. For more information or to make a hotel reservation, visit www.hammockworldwide.com. Following the publication of Hammock Worldwide’s selection for Hotel Management’s Top Hotel Companies list, American Registry seconded the honor and added Hammock Worldwide to the “Registry of Business Excellence™”. An exclusive recognition plaque, shown here, has been designed to commemorate this honor. For more information on Hammock Worldwide, located in Toms River, NJ please call 201-877-1009, or visit https://hammockworldwide.com/contact-us/. This press release was written by American Registry, LLC with contributions from Hammock Worldwide on behalf of Hammock Worldwide. American Registry, LLC is an independent company that serves businesses and professionals such as Hammock Worldwide who have been recognized for excellence. American Registry offers news releases, plaques and The Registry™, an online listing of over 2 million significant business and professional recognitions. Search The Registry™ at http://www.americanregistry.com.